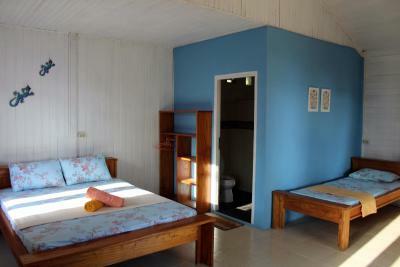 Lock in a great price for Happy Gecko Dive Resort – rated 8.8 by recent guests! 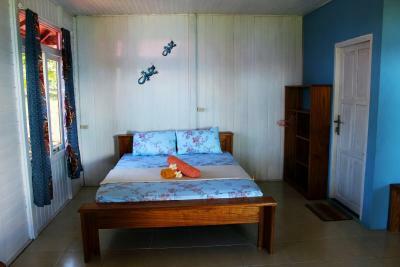 Willeke made every effort to accommodate each guest's needs as best that she could. 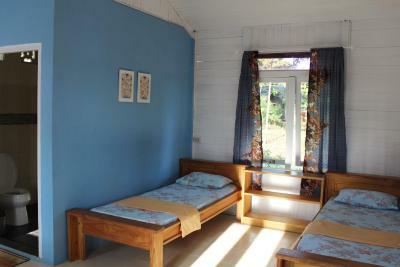 Laid back atmosphere where you can easily meet and visit with other visitors from around the world. 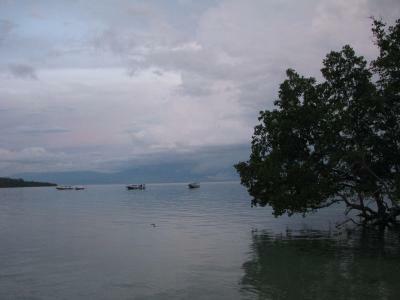 We accompanied the scuba dive boat to snorkel for a very affordable cost. It got us to the better reefs where the visibility was exceptional with abundant marine life that was not afraid of people. Saw very little plastic on most of the boat dives. 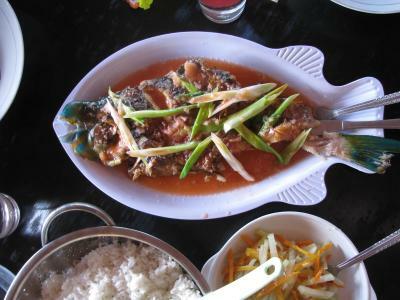 Abundant food, very clean kitchen and meal preparation, with a varied menu including fresh fruit and vegetables, rice or some starch like potatoes or noodles, with fish, chicken or pork. They even accommodated my Gluten Free diet request. They provide all the fresh bottled water you need from a shared dispenser in the dining area. We had a such a wonderful time in Happy Gecko. First and foremost, the resort is literally in front of the most beautiful coral reef on Bunaken, where you'll spot hundreds of colorful fish and a lot of huge sea turtles (! 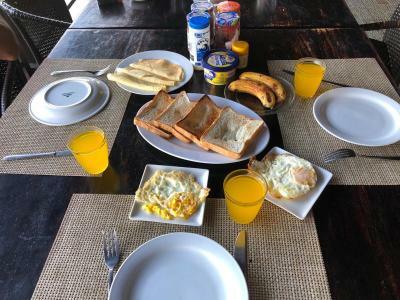 ).Willeke and the rest of the staff made sure that we didn't miss a thing, whether it was the punctual, fairly priced boat transfers, or the mouth-watering meals, which were rich and varied. 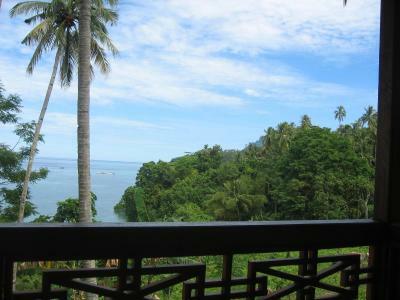 On top of that, Happy Gecko has a pleasant, calm feeling, like a small village overlooking the bay. In short, it was perfect. Highly recommended. 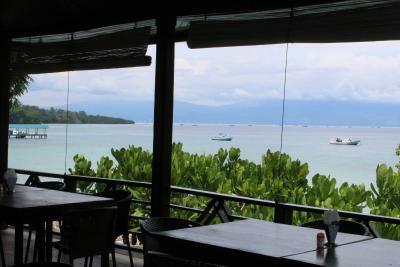 Location next to the ocean and the owner and dive staff were very nice. Excellent place for both snorkeling and diving. Terrific healthy meals. 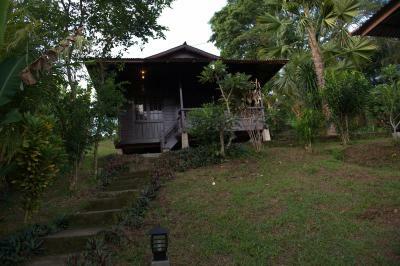 Spacious private bungalows with wonderful views from your private balcony. Especially liked the night dives. We were able to snorkel right off the shore, it was fantastic! The staff were off the charts friendly and helpful. We can't thank them enough for their hospitality and for going the extra mile to help us fulfill our requests. The meals prepared by the 2 local ladies were the best! We are vegetarians and they did their best to cook meals that are suitable for our diet. Staff, food, dive guide Jimmy was very good! Diving cheaper than in other resorts. Really lovely hosts, lovely comfy bungalows (and only 6 of them so not a crowded place to stay which is perfect for us), great dive shop attached with great dive sites (wall dive at 'turtle city' was our favourite, followed by mandarin fish dive) and friendly, good quality dive guides. 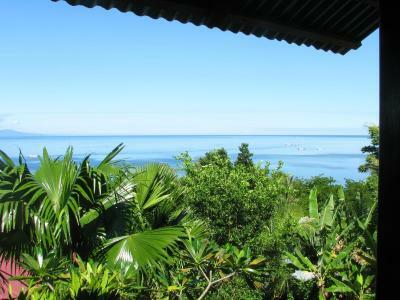 Happy Gecko Dive Resort This rating is a reflection of how the property compares to the industry standard when it comes to price, facilities and services available. It's based on a self-evaluation by the property. Use this rating to help choose your stay! 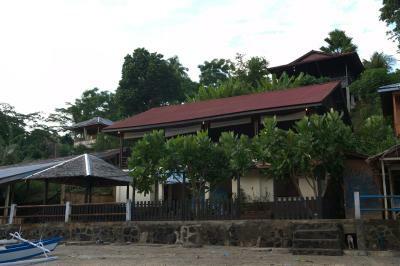 Offering an accommodations with a dove center, Happy Gecko Dove Resort is located on Bunaken Island in North Sulawesi, just steps from the island’s world-famous beaches and diving sites. 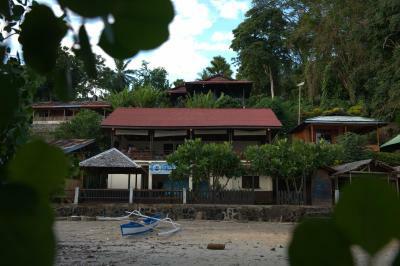 It features a private beach area and a restaurant. 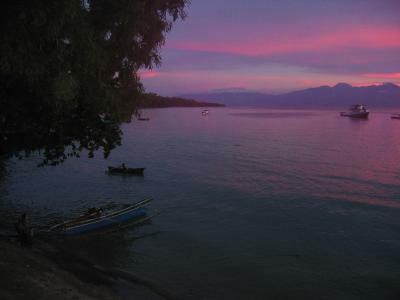 Bunaken Island can be accessed via Manado Harbor, which is a 30-minute drive from Sam Ratulangi Airport. 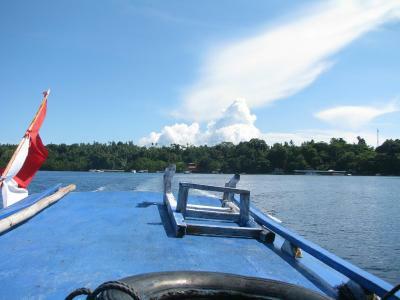 From Manado Harbor, it takes a 45-minute boat ride to the island. 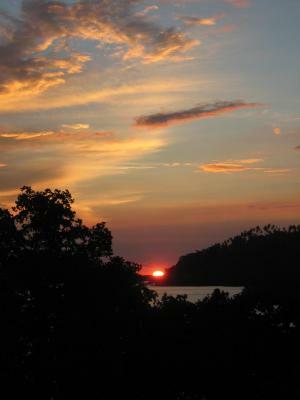 Happy Gecko Dove Resort offers airport pick-up and boat transfer services at an extra charge. 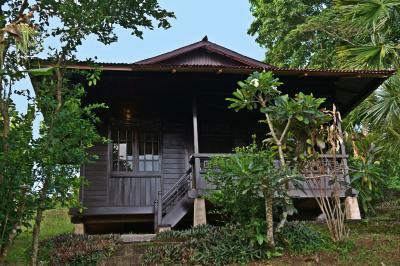 The resort provides standalone bungalows with views of the sea. They also have comfortable seating areas outdoors and a balcony with a hammock. 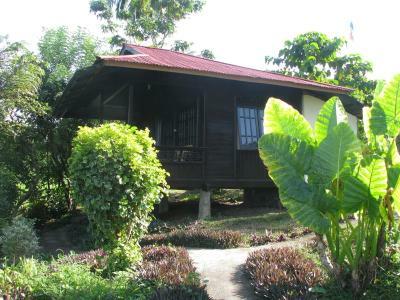 Fitted with simple furniture, the wood bungalows come equipped with an private bathroom and a fan. 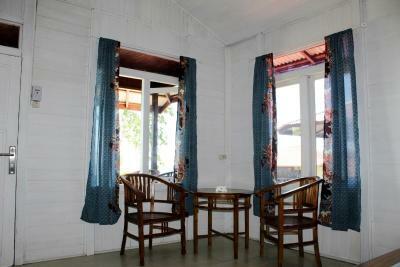 There is a restaurant and bar offering local specialties and a selection of beverages. 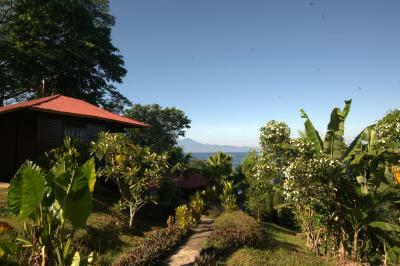 The resort also provides diving and snorkeling facilities. 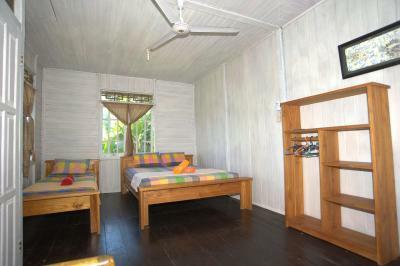 When would you like to stay at Happy Gecko Dive Resort? 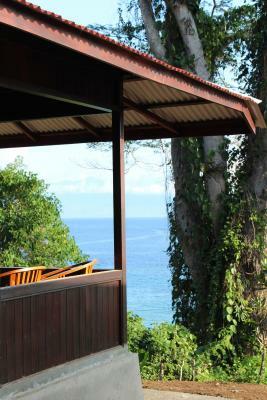 Standalone bungalows featuring private balconies and views of the sea. 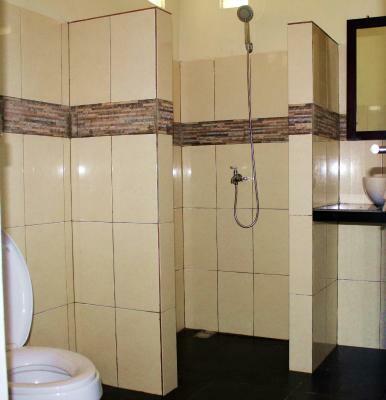 They have comfortable outdoor seating areas and come fitted with an private bathroom and a fan. House Rules Happy Gecko Dive Resort takes special requests – add in the next step! Please note that the accommodations is located on a hill and has many stairs. It is not suitable for families with young children (under the age of 6 years old) and people with walking disabilities. Please note that extra charges such as dove trips, boat transfer, or drinks can only be paid in cash at the property. Please note that credit card facilities, banks, or ATMs are not available on the island. Willeke and Jerry are really great hosts and we can highly recommend this place!! Thank you so much for everything. 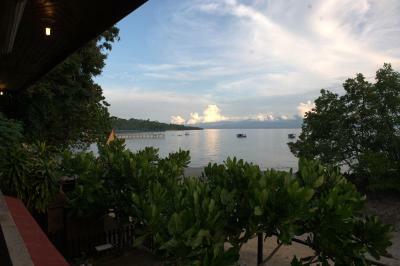 Bungalow is great, beach is directly in front of the resort, diving equipment and dive masters are really nice, Everything we wanted or needed the 2 organised for us (Catch up at the airport, finding an Dive Instructor for finishing our AOWD course, book a car to tangkoko national park,...). Willeke answers really fast if you have questions in advance. The food is amazing, every day we had different really tasty meals for lunch and dinner. For breakfast you can choose what you prefer. 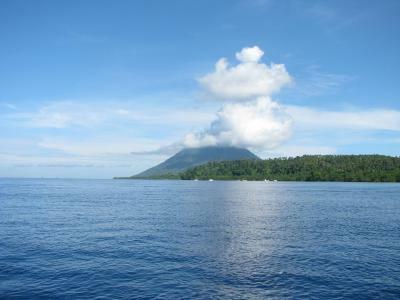 Diving at bunaken national park is great. 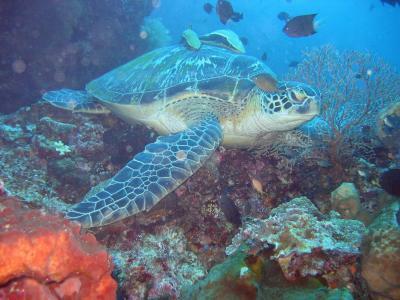 So many turtles, nudibranches and beautiful corals. Very nice owners, who are very helpful. The snorkeling in this area is wonderful. I didn't like single use plastic bags and other disposable plastics that are polluting the earth's oceans, including those in Indonesia! Happy Gecko did all they could on their part by not using disposable items, disposing of trash responsibly and also raking the trash that would wash up in front of their property and properly disposing it. I didn't like seeing a local diver in the water off the beach you can walk to on the other side of the island from the resort. He was spear fishing during both of our visits there, once when we walked there and once while accompanying the Happy Gecko dive boat there. Fish are less abundant at that reef and are very wary there since they are apparently regularly hunted. I don't understand how that works in Bunaken National Park. Unkind owner. A lot of plastic on the beach and a lot of trash was floating in the sea. The food was basic. The food was nice enough, but not the best on the island. The beach isn't pretty there (you go to dive!). We had a wonderfull stay. 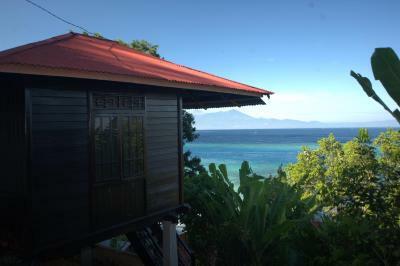 Nice bungalows with good views and good food. Willeke, the owner is genuine Nice to talk to and she was a great help to us. Highly recommended. Happy Gecko is a family- run place with charm and atmosphere. The host Willeke was very friendly and gave us much good information about the island and tips for the visit. 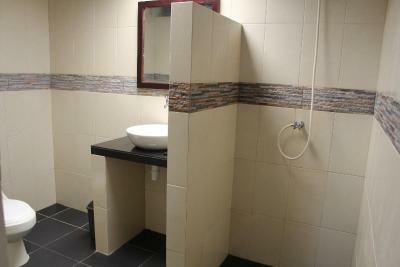 Clean with nice bathrooms although sunwarmed water. Good fit for couples and singles. We had 2 divemasters in a group of four divers which felt very safe. Dive- equipment quite new and in fine shape. The owner/manager Wieleke was a real treat :). 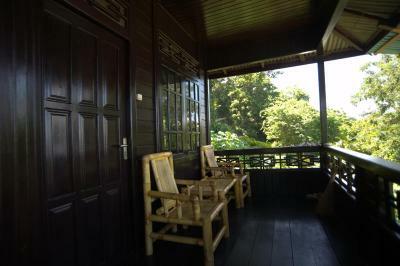 Very friendly and happy to provide you with all kind of local and indonesian info. And she takes a real interest in make sure you have a pleasent stay. Not a lot to do if you aren’t there to dive. Very friendly and helpful owner and staff. Great location.